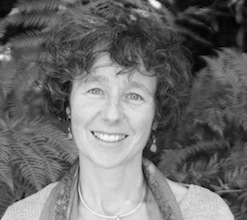 Marie-Nathalie Beaudoin, Ph.D. is the director and founder of Skills for Kids, Parents, and Schools (SKIPS) which offers a variety of counseling services to children, parents, educators, and therapists of the San Francisco Bay Area. Marie-Nathalie also maintains a private consulting practice where she enjoys working directly, or through Skype, with professionals or families wishing to untangle themselves from a variety of struggles. She values respectful, creative, and collaborative conversations. Marie-Nathalie has published numerous professional articles and books, including the popular SKiLL-ionaire in Every Child: Boosting Children's Socio-Emotional Skills Using the Latest in Brain Research which is written for parents, teachers, and therapists, and translated in French and Spanish (see www.skillionaire.org for a sample of the book). She has also published a number of acclaimed books for educators such as: Boosting ALL children's social and emotional brain power: Life transforming activities and Responding to the culture of bullying and disrespect: New perspectives on collaboration, compassion and responsibility. Her work has been featured in a number of magazines such as Educational Leadership, Teaching Tolerance, The California Educator, and Family Therapy. She was also filmed in several Alexander Street Press videos including Narrative therapy & neurobiology: Making changes stick in every day lives, and From Bullies to Buddies: From problem management to the development of crucial social skills in all children (see www.emicrotraining.com). With a background in improvisational theater, Marie-Nathalie is an acclaimed international speaker with frequent engagements in Canada, Europe, and South America, where she is renowned for her entertaining and thought provoking presentations. She has won several awards in the past including the best professor award at John F. Kennedy University (JFKU), and more recently the Shine a Light Narrative Research Fund.